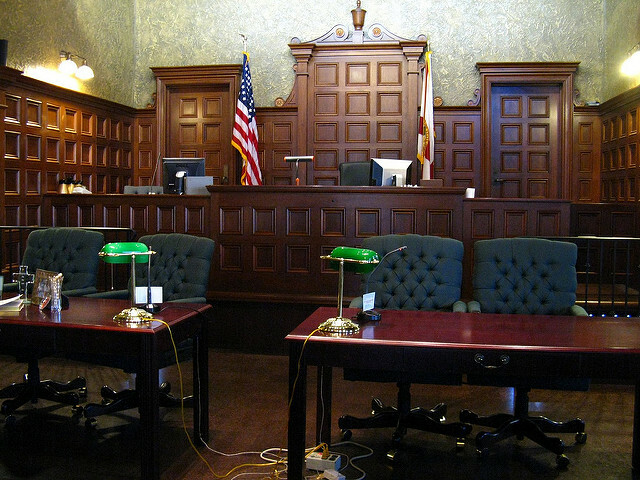 Most people know Americans have a constitutional right to a jury trial in a criminal case. Jury trials in civil cases are a very different, and very complex, story. A jury trial in a civil case is not an automatic right. In most jurisdictions, a jury trial must be requested at the beginning of the case, typically when the complaint is filed and the jury trial request fee is paid. Some states allow plaintiffs to waive the jury trial fee; please check your state and local rules to determine if jury trial fees can be waived in your court. Additionally, the type of court may also impact whether a jury trial is available. Administrative courts do not provide a jury option. Bankruptcy, immigration, and social security administration cases are typically determined by bench trial. Some states require the defendant’s consent for a jury trial. In other states, the defendant may veto a jury trial only if the defendant is a government entity. The type of request may also determine whether a jury trial is appropriate. Cases are most often heard by juries when the civil case is a legal issue involving the amount of money damages a plaintiff may collect. In contrast, a civil equity case where a plaintiff wants a court order will usually be heard solely by a judge. For example, suppose a man severally injured in an automobile accident is suing a company because the other driver was using a company vehicle on the night of his accident. The man demands $500,000 in damages and a court order that the company conducts background checks on all its current employees. The $500,000 request may be heard by a jury, but the request for a background check order will be heard by the court itself without a jury present. Trials decided by judges are known as bench trials. Bench trials are the “default” when there are no jury trials, mediations, or arbitrations. They are cheaper than the other options as they do not require additional fees, but often disfavored as they rely on a single decision-maker. Mediations are often used because settlements give parties more control over the outcome than a judge, jury, or arbitrator. Arbitrators are often used when the parties require the decision-maker to have more expertise than a judge would ordinarily possess. For instance, a car manufacturer and a sales representative might want a decision-maker who understands how cars are made and sold. An arbitrator agreed by both sides would be more knowledgeable than a randomly selected judge. Plaintiffs often favor juries as juries are often more sympathetic than judges to ordinary individuals who suffer injuries. Juries represent the ordinary citizen and some parties may prefer to be judged by ordinary people instead of an expert on the law (i.e. judges). However, juries often require more education on the law – the attorneys must teach the jury the law while also telling the jury what the case is about and why their clients should win. Juries may also have biases they are unaware of that may taint the case. As mentioned, bench trials are often the default when no other options are available or exist. In some cases though, a bench trial may be required. Vacating a judgment, restraining orders, protective orders preventing a deposition, or any other court orders involving an equitable outcome will be heard by a judge. Some contracts require that the parties to the contract waive their right to trial by jury. The enforcement of a jury trial waiver will depend on the jurisdiction. Some states permit parties to waive their right to a jury in civil court. However, states like California frown on such agreements and have enacted laws that will null such jury trial waivers. However, such jury trial waivers might still be honored if they are written to favor ADR rather than disfavor jury trials. Jury trials can be sidetracked or even outright prevented by an alternative dispute resolution agreement. In English, if the parties signed a contract that mandates the use of mediation or arbitration over a trial, then that contract provision will likely be enforced. Most states prefer that parties settle their cases or use a private judge to decide their case rather than drain state resources to resolve it. The Federal Arbitration Act explicitly favors arbitrators over jury trials whenever a contract involving interstate commerce requests arbitration. ADR over trial is very attractive to the federal and state governments, as it saves them a lot of time and money. However, the use of ADR is not without its controversies. Arbitration’s critics claim that corporations abuse the private arbitration system by rehiring arbitrators who favor them. Arbitration is not a fair and neutral substitute for a jury trial if the arbitrator is bought and paid by the defense. More importantly, many contracts are not negotiable. Cell phone service plans, hospital and emergency fees, and bank fees, among other agreements, are not negotiable despite the impact that such services have on the consumer.